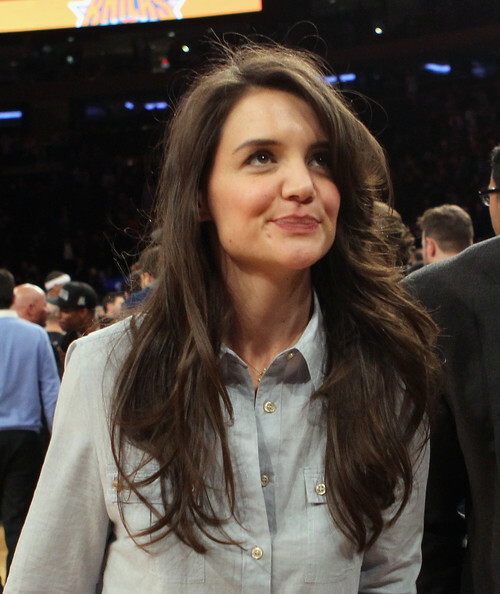 Actress Katie Holmes attends the game between the New York Knicks and the Golden State Warriors at Madison Square Garden on February 27, 2013 in New York City. NOTE TO USER: User expressly acknowledges and agrees that, by downloading and/or using this photograph, user is consenting to the terms and conditions of the Getty Images License Agreement. The Knicks defeated the Warriors 109-105.